Hi friends, today in our article, we are going to tell you that Samsung Galaxy A7 has been launched in India and what is going to get this special feature and what specifications are going to get you all the things you get in the same article. 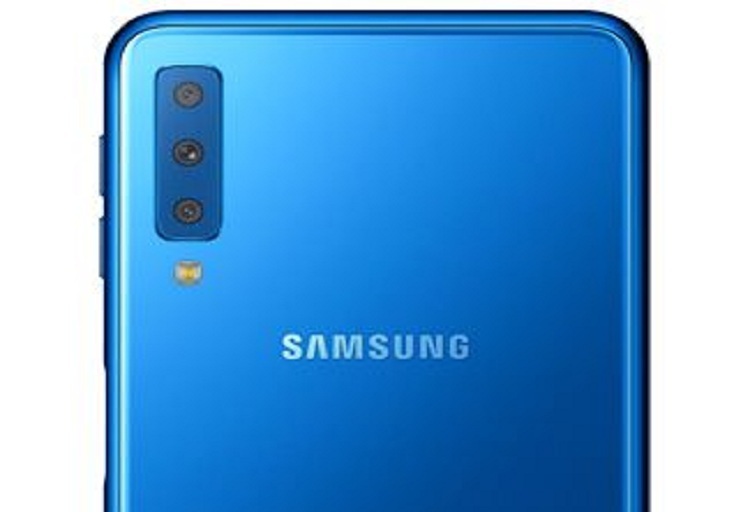 Friends, South Korean smartphone company Samsung launched its first smartphone Galaxy A7 (2018) in South Korea just a few days back with a triple-rear camera setup. And after just a few, today Samsung has launched this phone in India too. In this phone, you get to see vertically set up in three-three rear camera backside. This is the most highlights feature of Galaxy A7 (2018), this is Triple Camera, apart from the 24MP Selfie Camera and Dolby Atmos Audio Technology. Samsung launches this Galaxy A7 (18) smartphone in India in two variants. The first variant comes with 4GB RAM and 64GB of storage, which is priced at just Rs 23,990. The second variant has been lowered to Rs 28,990, with 6GB of RAM and 128GB of internal storage. You can also buy this smartphone from Flipkart, Samsung's online store and Samsung Opera House, from offline retail stores and shop. This phone will be available for sale on online platforms and offline stores from September 28 in Black, Gold and Blue colour variants from September 27. Samsung's latest smartphone is with the Dual Nano SIM slot, which runs on Android's Oreo 8.0 OS, but Samsung's user interface gets top in the top. This phone comes with 6-inch large display full HD + resolution. In this, the company has installed its own Super AMOLED Infiniti display. The Galaxy A7 is equipped with an octa-core processor clocked at 2.2GHz. The company has not named the processor. Talking about RAM and storage, Samsung Galaxy A7 (2018) is available in two types of RAM and storage variants. The first variant of this smartphone is with 4GB RAM and 64GB internal storage, while the second variant has been introduced with 6GB of RAM and 128GB of internal memory. In both variants, you will be able to use an external Micro SD of 512GB capacities. Now look at the camera, its camera, in this Galaxy phone, Samsung has put one or two full three rear cameras. Yes, this phone has a 24MP + 8MP + 5MP triple rear camera setup. The first camera in this is with f / 1.7 archer, second f / 2.4 aperture and third f / 2.2 with the exceptional size. There is a 5MP depth sensor. The Galaxy S7's front selfie shooter camera is 24MP, with fixed focus, LED flash and f / 2.0 aperture. For Samsung Galaxy A7 (2018) 4G Volte, Dual Band WiFi, Bluetooth 5.0, NFC, Samsung Pe Sport, GPS, A-GPS, A Glonass etc. have all the necessary features for connectivity. In this phone, you will find fingerprint set up in a side-mounted power button, not back or front. Other sensors present accelerometer, proximity, RGB sensor ambient light sensor. This phone has a 3300mAh battery. The Galaxy A7 weighs 168 grams and the thickness is just 7.5mm. 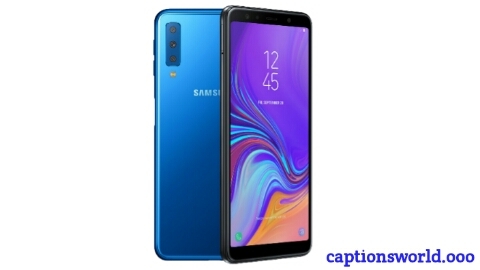 Friends, all of you have come to know that what features are available to you in the Samsung Galaxy A7 and what are you going to get specifications, then tell us how you felt like this mobile and what are your opinions. Please share this article together with your friends so that the article can reach more people then let's find out in our next article. Thank you.